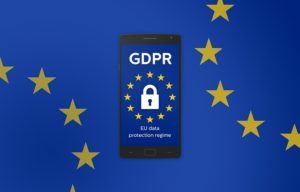 The European General Data Protection Regulations (GDPR) regulates the way businesses process and manage personal data. Effective as of 25 May 2018 and applicable to all businesses and organisations (e.g. hospitals, public administrations, etc. ), it constitutes the biggest change to the EU’s data protection rules in over 20 years (original documents and info here). bioCEED’s newsletter, bioCEEDnews uses a subscription list to send its subscribers a summary (with links) of its monthly edition. The only purpose of the subscription list is to send the above-mentioned newsletter. The list contains email addresses of former and current bioCEED employees and students, members of bioCEED Advisory Board, members of bioCEED Centre Board, bioCEED collaborators (projects and research group), members student organisations (UiB), members of the Faculty Management at MatNat (UiB) and members of the University Board (UiB). It contains the email address(es) of the persons who have signed up via the website bioceednews.w.uib.no (formerly bioceednews.b.uib.no) or upon direct request to one of our administrative or scientific employees. It contains email address groups/mailing lists of various departments within UiB, UNIS and IMR, as well as other institutions who have been in contact with bioCEED, or participants to bioCEED activities. It is neither accessible to nor shared with anyone (private persons or organizations) outside of the editorial board of the newsletter. Unsubscribing from the bioCEED newsletter is as easy as sending us a request via this form.